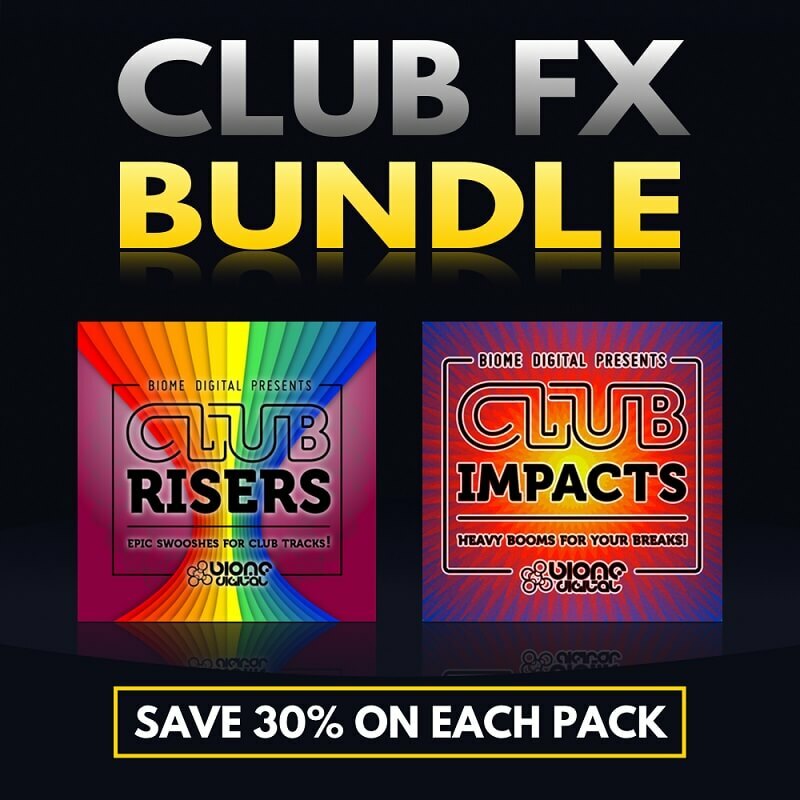 Club FX Bundle 1 brings together two high quality sample packs into one great value product containing hundreds of unique uplifters, risers, impacts, slams and much more! Club Risers & Club Impacts are both included totalling 350 of the biggest, loudest, most devastatingly epic sound effects available. Perfect for electronic music, production music and sound design for film, TV & game. Club Risers is quite simply a work of passion, consisting of weeks of work to bring you this huge pack of the very best creative sound effects out there. Weighing in at over 670 MB of audio content, Club Risers is packed full of epic up-lifters, swooshes, sweeps, flyby’s, pitch shifters, noise panners, transitions, analogue synth swells, and much more. Club Impacts is the perfect way to add tension, excitement and suspense to your music. This huge pack contains 150 of the biggest, baddest, most earth shaking sound effects available. These essential sounds include cinematic slams & explosions, deep rumbles & booms, noise hits, stingers, transitions and much more! Club Impacts is perfect for any genre of music, including: electronic music, production music, soundtrack, trailers, cinematic & game sound design.